(Dr. Joseph P. Farrell) 2016 closed in its final months and weeks with a series of very weird stories about Antarctica. First, we saw the Patriarch of Moscow, Kirill III, visit the continent, ostensibly to bless the Russian Orthodox chapel at the Russian bases there. As I pointed out at that time, that story just didn't sit entirely comfortably with me, as any Orthodox bishop could have done that. Why get the Patriarch involved? Following his visit, there were stories on the internet that the Saudis(!) had found something at the Grand Mosque in Mecca, which they turned over to Russia (for some not adequately explained reason) so that the Patriarch could take whatever it was to Antarctica and perform "ancient rituals" over it and remove it from endangering The Rest of Humanity. Needless to say, I didn't buy the idea, for many reasons, not the least of which was that I can't imagine the (out)House of Saud turning anything over to the Russians for Christian rituals to be performed over it, especially if, as the story suggested, it was some sort of ancient high technology. Following all that strangeness was the visit of U.S. Secretary of State, John Kerry to the southern polar continent. The spin for that story was almost as ridiculous as the Saudis-found-something-and-gave-it-to-the-Russians story, for we were told that the Secretary had made his visit because of a personal interest in "climate change." Well, maybe, but the circumstances of the visit, during an otherwise exclusively diplomatic junket, seem odd. Why the side trip to satisfy personal interests in climate change? After all, he's the chief diplomat of the U.S.A., and a simple phone call at Foggy Bottom would have had piles of climate change data and analysis on his desk in Washington in a matter of minutes. As I noted last year about this story, this trip suggested a diplomatic purpose. After all, diplomats talk and negotiate, all of which raises the issue of who Mr. Kerry might have been talking to and negotiating with down there, especially since the U.S.A. maintains relationships with all the countries that have a presence in Antarctica. But it quickly became even stranger when former Apollo 11 astronaut and "second man on the Moon" Buzz Aldrin went to Antarctica, after texting he was about to go to the launchpad. Those words were, as I noted at the time, capable of two possible interpretations, the more likely one being that, as a former astronaut, he was simply using astronaut-speak for boarding the airplane that would take him there. The other possibility was that he was referring to Antarctica itself as the "launchpad," and of course, that raises all sorts of sticky issues, especially in the context of Mr. Kerry's visit and its weird potentialities. Moreover, once in Antarctica, Mr. Aldrian promptly became sick (with exactly what we're not informed), and had to be emergency-evacuated to New Zealand. Things became even stranger when regular readers here emailed me various articles about other famous or "connected" people visiting Antarctica, which included, among others, a British prince and the late King Juan Carlos of Spain. As I began to conjecture what might be drawing all this recent attention, one possibility that I entertained was "they found something," something possibly of historical, cultural, or even technological importance, or all three. 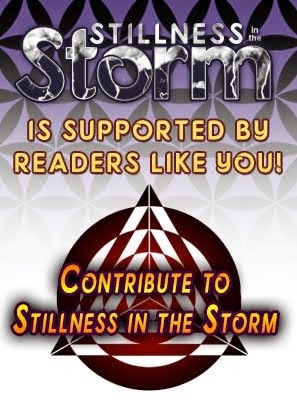 At that point, I received articles about the alleged pyramid, about which I remain skeptical in a 60-40 kind of way, 60 percent on the skeptical side, and 40 percent on the "it sure looks like a pyramidal structure" side. OK. "Motte and bailey" may be a bit much, for there are lots of ifs here, and one of them is, of course, that photos can be photoshopped rather easily these days, and even put on Google earth. Nor is there any real evidence here that the article's conclusion is correct, namely, that this represents some ancient construction, rather than a modern one. After all, much going on in Antarctica is secret, and what we are told is subject to all the previously-mentioned caveats and hedges. But, I have to be honest, here my intuition leans to the genuineness of the photo, and to the artificiality of what it is showing; it's a "something artificial" in a region supposedly where such a thing shouldn't be present. The question really is, if this is the case, then what is it, and how old is it? 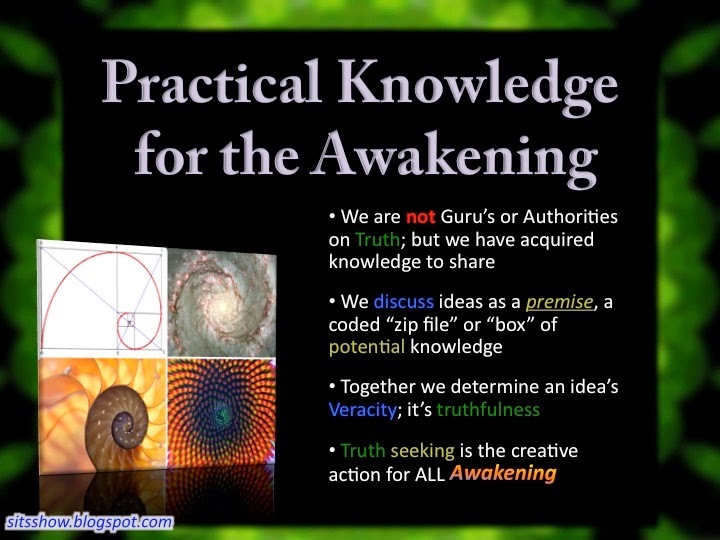 And that idea makes me move my pyramid skepticism marker to the 55-45 ratio, and not the 60-40 one. Add to this the new attention on the large underground gravitational anomaly that has recently been reported about Antarctica, and we have a very curious picture indeed. Take the "pyramid" and this "structure" together and I'm 55-45. So why am I bothering you with an article and objects I'm 55 percent skeptical about, and 45 percent positive about? And the answer is, when one views these stories in the context of visits by King Juan Carlos, John Kerry, Kiril III, and Buzz Aldrin, not to mention British Princes in recent years, and not to mention that strange relationship of Rudolf Hess and Hermann Goering to the southern continent via the Nazi expedition there, then the scenario of "they've found something they're not talking about" gains more corroboration, and pyramids and structures might provide the clue: they've found something old, artificial, and therefore, the remains of a lost civilization. And we all know what myth lies at the center of that conception, and for our purposes, it's wise and prudent to recall that that lost civilization was said to be warlike, and possessed of strange advanced technologies, by some people's lights. 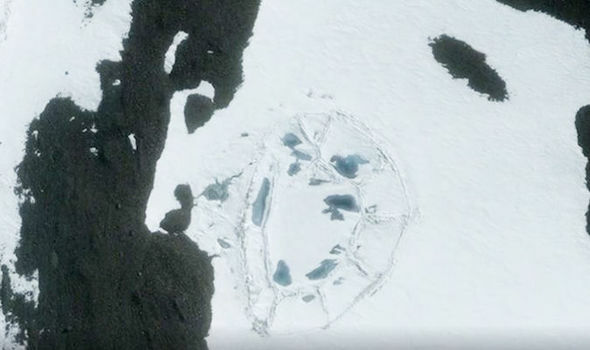 A GIANT fort-like structure has just revealed itself in deepest Antarctica, sparking claims of an ancient civilisation once roaming the polar region. What apperars to be the remains oval shaped “building” is 400ft across and appears to have all the hallmarks of being a sizeable, man-made construction - similar to a mediaeval motte and bailey castle. If true, it would reshape everything scientists thought they knew about humanity’s past as it would prove people inhabited what was previously thought to be a desolate region. Satellite imagery clearly shows the structure, which closely resembles the ruins of a once giant building. It is so symmetrical it has raised questions as to whether nature alone could have designed it. Scientists initially thought the discovery could be a sastrugi – a natural phenomenon formed by years of being battered by strong, freezing winds and heavy snowfall. But sastrugies always form a distinctive shape based on the direction of the wind and rarely appear as a distinct oval, such as the mystery formation in the satellite image. 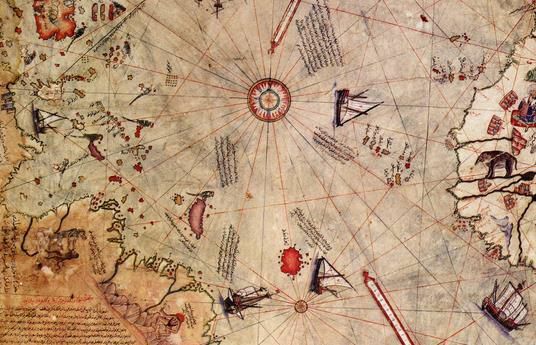 Ancient civilisations in Antarctica have long been rumoured to have existed, with people pointing to a map drawn in 1513 by Turkish admiral Piri Reis as a clear sign of historic life. The map shows Antarctica drawn impeccably well, despite it not officially being discovered until 1818. This dome-like structure is not the first discovery to raise questions about advanced ancient civilisations living in the area. 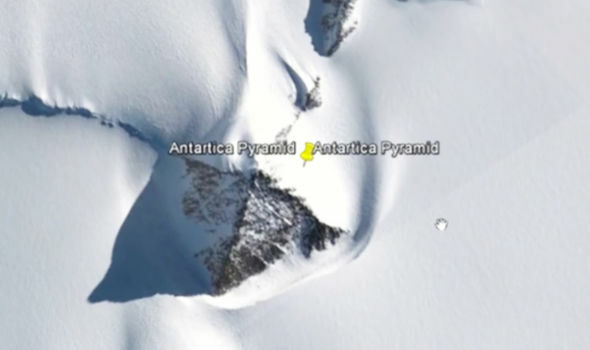 A pyramid also appears to have been discovered poking out of the snow, with its distinctive triangular, symmetrical shape are clearly at odds with its surrounding environment. Leading archeologist, Ashoka Tripathi, of the Department of Archaeology at the University of Calcutta, believes the images show clear evidence of an ancient human settlement beneath the ice sheet. He said: “These are clearly features of some sort of human-made structure, resembling some sort of pyramidal structure. The patterns clearly show nothing we should expect from natural geomorphological formations found in nature. We clearly have here evidence of human engineering. “The only problem is that these photographs were taken in Antarctica under 2km of ice. That is clearly the puzzling part, we do not have any explanation for this at the moment.